In paediatrics, clinicians and parents sometimes disagree about the appropriate medical treatment for a child. Parents can prefer an option that differs from the clinician’s recommendation. When should the parents’ decision about their child’s medical treatment be overridden? 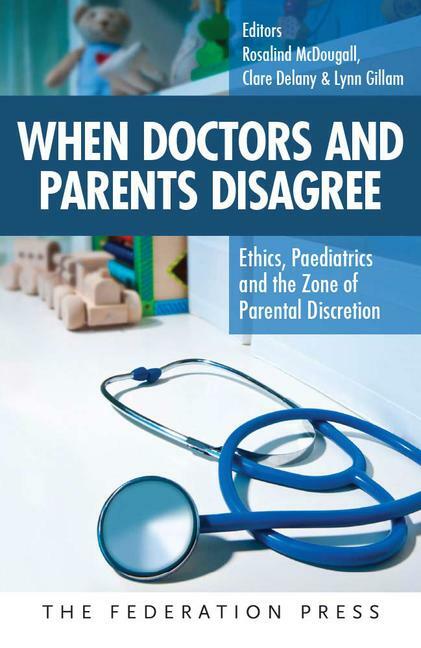 This book explores ethical decision-making when clinicians and parents disagree about medical treatment for a child. It develops and explores a concept called the zone of parental discretion: an ethical tool that aims to balance children’s wellbeing and parents’ rights to make medical decisions for their children. Written by experienced clinical ethicists and paediatric clinicians, this book offers ethical analysis and practical guidance based on real-life clinical cases. It aims to assist doctors, nurses, allied health professionals and clinical ethics staff to deal with these ethically challenging situations. Rosalind McDougall is an ethicist at the Children’s Bioethics Centre, Royal Children’s Hospital Melbourne, and at the Centre for Health Equity, University of Melbourne. She studied philosophy, genetics and bioethics at the University of Melbourne and the University of Oxford, and has published widely on issues in clinical ethics and reproductive ethics. Her research focuses on paediatrics and parenthood. Rosalind has been involved in clinical ethics case consultation in Australian hospitals since 2008, and is currently a member of the Clinical Ethics Response Group at the Royal Children’s Hospital Melbourne. Clare Delany worked for many years as a physiotherapist but now researches and practices in clinical ethics and clinical education. Clare is an Associate Professor in the Department of Medical Education, School of Medicine at the University of Melbourne and a Clinical Ethicist at the Royal Children’s Hospital Melbourne. At the University, Clare teaches in professional ethics, qualitative research and critical thinking and reasoning in health care. At the Children’s Bioethics Centre, Clare is a member of the Clinical Ethics Response Group and is involved in education, consultations and research in paediatric clinical ethics. Lynn Gillam is an experienced ethicist, originally trained in philosophy (MA, 1988, Oxon) and bioethics (PhD, Monash, 2000). Lynn is the Academic Director of the Children’s Bioethics Centre at the Royal Children’s Hospital Melbourne. She is also Professor in Health Ethics at the University of Melbourne, in the Melbourne School of Population and Global Health. Lynn works in clinical ethics case consultation at the Royal Children’s Hospital, and has been involved in over 200 ethics consultations over the past 10 years. At the Royal Children’s Hospital, she also provides policy advice and leads research into a range of issues in paediatric clinical ethics.